Offering a year-round indoor pool and hot tub, this hotel is 20 minutes' walk from The Colorado Convention Center. Free WiFi is provided in all guest rooms. A free breakfast is served daily. 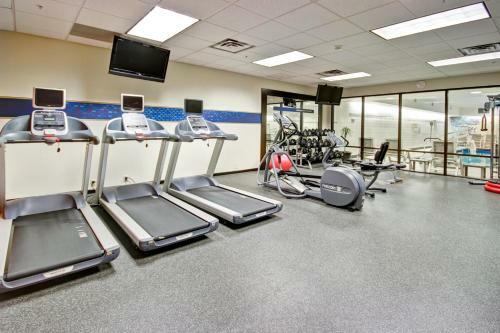 All air-conditioned rooms at Hampton Inn & Suites Denver-Downtown features a flat-screen cable TV and a private bathroom. Select accommodations feature a seating area. 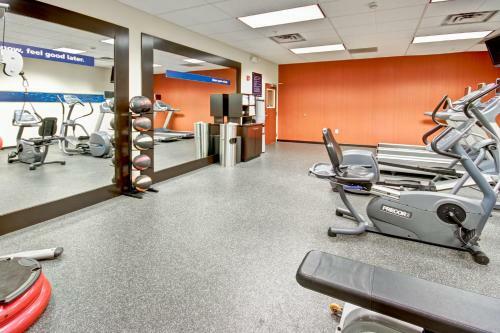 In addition to stunning views of the Rocky Mountains, guests at the Hampton Inn & Suites Denver-Downtown can take advantage of a fitness center and a business centre. Colorado State Capitol is 10 minutes' walk from property, while Denver Art Museum is 1.2 km away. the hotel Hampton Inn & Suites Denver-Downtown so we can give you detailed rates for the rooms in the desired period.